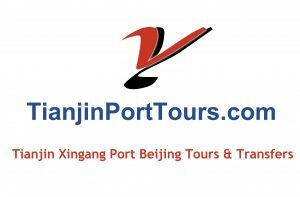 Are you confused about choosing a tour company for your Beijing Tour from Tianjin Xingang Port? You might compare reviews for several tour companies on price, service and credit rating. Here we make it easy for you to find out the differences between us and other Chinese and international competitors but don´t just take our word for it ask the questions for yourself? Best Price Guarantee If you find a lower price with same service and includes same items as we listed, we will refund you the difference in price. Usually tour price higher than ours 30%-50%. Usually tour price higher than ours 100%-200%. Response Efficiency Less than 12 hours. 24 hours. 1 work day. Last minute changes Yes, definitely and usually at no charge. Yes, but read the fine print for additional fees. Flexibility during the trip If you take a private tour, you can change the scenic spots before/during the trip. Cancellation Policy Deposit will be refunded if we are informed 24 hours before the scheduled pick-up time. Maybe can be refunded but you need to inform at least 3-5 days in advance. Maybe can be refunded but you need to inform at least 15 days in advance. Money back Service Guarantee Yes, during your tour if any unsatisfied with your tour guide, hotel, vehicle, driver or restaurant please inform us. We will change for you accordingly, if still not up to your standard, we will refund your money. Mineral Water, Wheel Chair, Baby Seat Free-bottled mineral water. We will prepare wheel chair, baby seat for you if you requested in advance (no additional charge). One bottle water per person per day. No wheel chair, baby seat supplied or with additional charge. One bottle water per person per day. No wheel chair, baby seat supplied or with additional charge. Shopping Policy Absolutely no forced shopping. Tour guide’s employment conditions We pay our guides and drivers a fair salary and performance bonuses. No, usually they depend on tips and commissions. No, mostly they depend on tips and commissions. We are interested in the 3-day Beijing Tour from the Celebrity Millennium that will be docked in Tianjin from March 24th to March 26th. We have heard that it is an absolute nightmare to go though China Customs in PREVIOUS years with some tourists not getting through until almost noontime. Has this situation improved as I am concerned that our first day might be completely wasted if we are stuck in Customs for hours awaiting clearance? Since the Forbidden City is apparently closed on Mondays which would unfortunately fall right on Day 2 of this tour for March 24th – 26th, how would the itinerary change to accommodate this closure and still ensure that we see everything? According to our experience, if you can go to wait for the queue earlier than other people you do not need to wait for long time. Normally you can meet our guide before 9:00am. And according to your cruise route, you have to apply Chinese entry visa to come into China. Please apply it in advance. The Forbidden City close on every Monday. So we will change it to be on Mar. 24, 2019, we will make sure you can visit every place listed on the itinerary. Our tour does not include dinners. You can have dinner on your own. There are many restaurants around the hotel. We will pick you up from Tianjin port at 9am. You will have plenty of time to go though the immigration. And our tour guide will wait for you till you show up. So please do not worry! We have sent you an email about the tour details, please check. Thank you! The tour prices already listed on website. Please recheck. We will transfer you back to hotel around 17:00 daily. The tour has been booked over 10 people (Apr. 3-5, 2019), we guarantee will operate the tour regardless of numbers. And we will transfer back to Tianjin port before 16:00 on Apr. 5, 2019 for sure! We have been operated Beijing tours from Tianjin Port over 10 years. We never miss our clients’ cruise. We already listed the tour prices on the website. Please recheck. Thank you! Tianjin port. Checking to see if you have any 2 days tour for Beijing on April 25-25,2019 & the price. We are a party of 2. Also one day tour in Tianjin on April 26, which we have to return to the ship before 6PM. We just sent you an email about the tour details, please check. We have sent you an email about detailed tour itinerary and price, please check. Re above, we are talking about your GROUP tour. Sorry, our group tour is not available for Cruise Seabourn yet. We will keep you posted. My wife and I are arriving on Seabourn 07May. We wish to take your two day tour to Beijing. Will you have us back at the wharf for the sailing at 1700. For peace of mind, we would like to arrive at the wharf around 1600.
we are also on norwegian cruise and will stop in Tinnaijin port on april 18 and 19, 2018. we have 6 people in our group and interested for the 2 days group tours. Yes, we have 2 days group tour suitable for your cruise ship. We just sent you an email about the details of the tour, please check. my husband and I are also arriving on Norwegian on April 18th, 2018 and we are interested on the 1 Day Mutianyu Great Wall-Forbidden City Private Tour from Tianjin Port on arrival day. Is this available? If so can you advise the price per person and inclusions? Thank you. We just sent you an email, please check. Sorry, we do not have group tour suitable for you. May I know your cruise ship arrival time on Apr. 18, 2018? I am also on Norwegian cruise will stop in Tinnnajin port on 4/18-19/2018. 2 of us are interested for the 2 days group tours. is there a group that we can join? Thanks. I am interested in taking this tour on March 27th for my wife and I. I was trying to find Trip Advisor reviews but can’t get them. Could you provide a link for them? Also how many people are normally in the group tour? Normally, the group size around 20-25. We have sent you an email twice. Have you received it? We are interested in the 3 day tour for four people from the cruise ship Celebrity Millennium arriving on March 28-30, 2017. Please send us information, thank you. I recommend you 3 Days Beijing GROUP Tour from Tianjin (Xingang) Port for you, which is the most popular itinerary. We have some clients booked this tour from Celebrity Millennium Cruise on March, 2017 already. Our travel advisor have sent an email to you, please check.